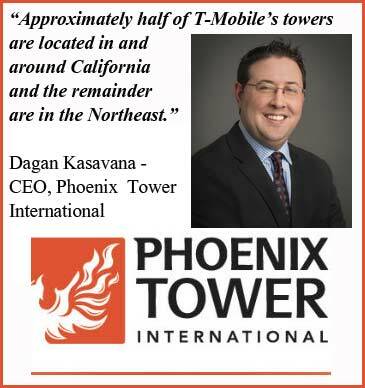 Phoenix Tower International (PTI) announces that it has closed its transaction with T-Mobile to acquire the ownership or management rights relating to over 600 wireless communication tower sites including the exclusive right to manage and operate the sites from T-Mobile. Terms of the transaction remain confidential between the parties. TD Securities LLC served as M&A Advisor to PTI and provided financing for the transaction. Locke Lord, LLP acted as legal advisor to PTI. TAP Advisors served as exclusive financial advisor to T-Mobile. Lape Mansfield Nakasian & Gibson, LLC acted as legal advisor to T-Mobile. The deal was announced on Aug. 3, 2015. PTI is the country’s 10th largest tower owner according to Wireless Estimator’s Top 100 Tower Companies in the U.S.
PTI also announces the closing of a five-year credit facility for its US subsidiaries. The credit facility was used to finance the acquisition of the T-Mobile tower acquisition and provide additional financing for new tower development and acquisitions of wireless infrastructure in the United States. TD Securities (USA) LLC (“TD”) served as lead arranger on the credit facility. “The closing of this credit facility with Toronto Dominion was crucial to the acquisition of the sites with T-Mobile. Furthermore, TD’s facility provides additional financing for development and acquisition opportunities in the United States where we want to continue to build momentum after our transaction with T-Mobile. 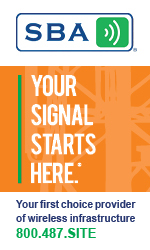 TD is a market leader in tower financing and we are excited to work with them in our continued expansion in the United States,” stated Dagan Kasavana, Chief Executive Officer of PTI.